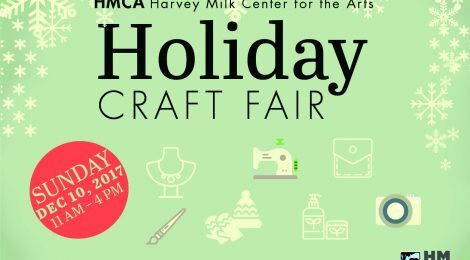 Harvey Milk Center for the Arts, part of San Francisco Recreation and Parks Department is proud to host its Holiday Craft Fair on Sunday, December 10th 2017 11am-4pm. The event will include numerous local artists offering their unique handmade holiday gifts for sale to the public. Our destination art center will also host family friendly art activities for all ages and photo opportunities. Find unique hand crafted one-of-a-kind gifts for family and friends.